Philosophy, in its literal meaning, refers to the study of the fundamental nature of knowledge, reality, and existence, especially when considered as an academic discipline. In a greater concept, philosophy is the science that undertakes discourse of all the natural and artificial elements of our lives, and contributes to the evolution of the human race. To conduct a study of philosophy is to develop a sense of wisdom, and to seek the answers concerning the metaphysical and physical world of mankind. Over the years, famous philosophers have contributed to the evolution of society, to its constant developments, creations and innovations. Dating back from the pre-historic era of the Greek philsophers such as Plato, Aristotle, Socrates and Epictetus, who simplified the complex phenomenon of the stars, the galaxies, the planets, geography of the world, and provided a basic outline of legal, moral, economic and political spectrum for later great philosophers such as Immanuel Kant, René Descartes, Karl Marx, and Friedrich Nietzsche to further evolve their principles to suit them to the changes and requirements of the modern world. Indeed, Philosophy has made easy our evolution and departure from the pre-historic days of metal and iron to the technologically innovative future. Philosophy inculcates in its seekers the abilities of critical analysis and inductive reasoning, and it simplifies the problems into multiple solutions by engaging its students in Lateral thinking. Philosophy serves to broaden one’s conception of reality, and make one more aware of the underlying assumptions of their views and observations, making them more balanced and holistic in their judgements. 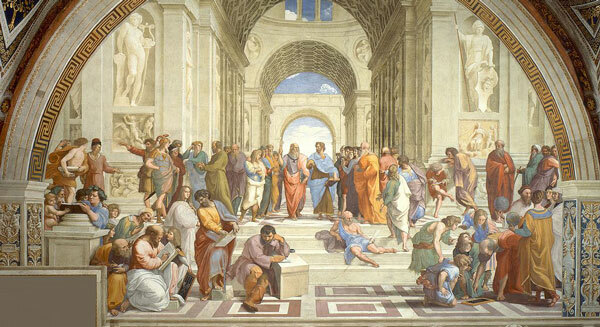 Philosophy serves to fullfill society’s demand for wisdom, and its findings contribute to human growth, and form a significant element of our education. Philosophy aims for the realization of the human potential and development of human intellect. Philosophies are influenced by several cultures, as they come through different philosophers who vary in their cultural and geographical affiliations. There are often contrasting views among philosophers, however, a collective study of different contrasting philosophies, serves to form a more comprehensive understanding. Philosophy has made significant contributions to the development of our society, and it continues to revolutionize and innovate our lives with each passing day. The website, Famous Philosophers, is an attempt to highlight all philosophers and their contributions who have helped human race progress to its current state.